Use with paint, Grunge Paste, paint sprays, crayons, pastels, pens, chalks etc. Wonderful on papers, canvas, chipboard and much more. All our top quality stencils are designed to complement the stamps in the collection perfectly. 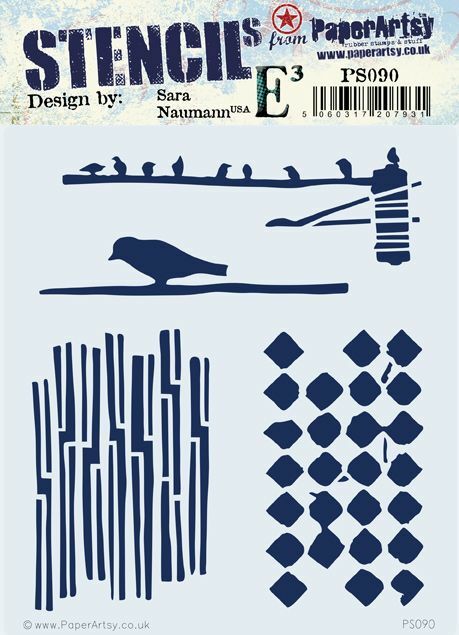 These stencils are designed exclusively for PaperArtsy by Sara Naumann. Manufactured from start to finish at PaperArtsy HQ, Essex, UK.